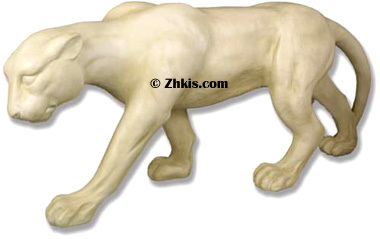 Life-size stalking panther statue. A beautiful depiction of this big cat on the prowl and hunting. This piece is made of durable fiberglass and can go indoors or outdoors. The piece can also be fitted with hardware so it can be mounted for commercial display.